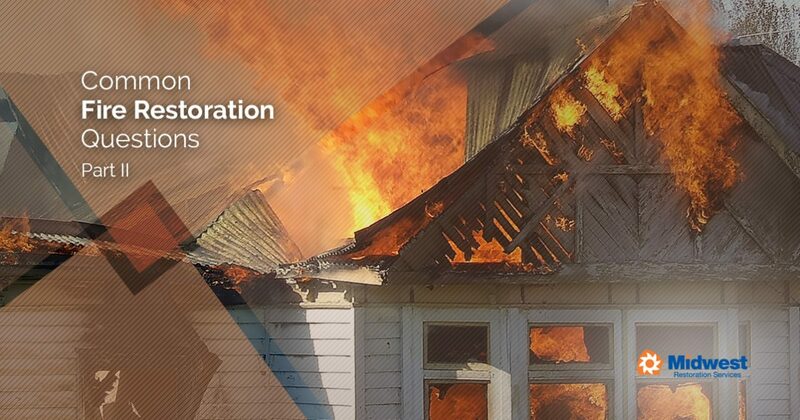 Whether you experience a small fire in your kitchen or devastating damage to multiple rooms in your home, it can be difficult to know where to begin when it comes to fire damage restoration. We answered a few of our most common fire damage restoration questions in a previous post, and in today’s post, we’ll continue to answer some of the most common questions our restoration company receives. Midwest Restoration Services is proud to be the Top Rated Local® restoration company in Batavia. We’ve helped hundreds of homeowners restore their homes and protect their belongings after a disaster occurs. Whether you need water damage restoration after a flood or extensive smoke damage removal, we’re here to help. You can contact our restoration company by phone at 630-761-8100 , and you can also use our online contact form to request an estimate. We’re here for you 24 hours a day, 365 days a year, so don’t wait to begin restoring your life. How Long Does It Take for the Smell of Smoke to Dissipate? If your home has suffered from smoke damage, then you’re probably wondering how long it will take for your home to return to normal. Opening up your doors and windows to direct air out of your home can help to reduce the smell of smoke, but completely removing the smell will likely require the help of a professional restoration company. Smoke particles permeate surfaces such as paint, walls, carpet, artwork, and furniture, and the smell will linger until all of the particles have been eliminated. What Do I Do With Items That Have Been Damaged Beyond Repair? While many items that have been affected by smoke damage can be salvaged, items that have been charred or severely damaged by smoke may never return to their pre-fire state. 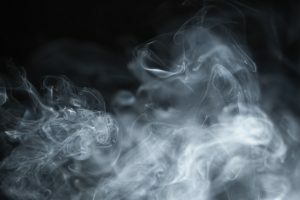 Smoke creates an acid on the objects it affects, so items that initially seem salvageable may not be after a month or so. Immediately contacting a fire damage restoration company is the best way to know for sure if your items can be salvaged. Document and photograph any items you discard in order to make the most of your insurance claim. Do I Really Need to Hire a Restoration Company? Yes – hiring a restoration company after your home has been affected by fire damage is crucial to ensuring that your home and belongings are protected. You might have antique wooden furniture or expensive artwork that requires multiple delicate treatments, and you don’t want to take the risk of doing more harm than good. General contractors and DIY guides you’ll find online don’t know your specific circumstances, so hire an experienced restoration company to give your home the treatment it needs. How Do I Properly Dispose of Ashes From My Fire Pit? While this question isn’t technically related to fire damage restoration, it’s something that’s on our minds as summer gatherings become more and more frequent. Having your friends and neighbors over for a night of conversation and drinks is always a fun a time, but it’s important to ensure that you’re dealing with the remains of your fire properly at the end of the night. Did you know that wood ashes can retain enough heat to ignite other materials for up to several days? It’s true, and improper ash disposal is one of the primary causes of summertime fires. Start by dousing your fire pit with water after you’ve finished using it. After you’ve thoroughly soaked the ashes, scoop them into a metal container and store them away from your home and other combustible areas. Never store your ashes in garbage bags, cardboard containers, or trash cans. We hope that this post will help you determine which steps you should be taking if you ever find yourself needing fire damage restoration in Batavia. Keep an eye on our blog for future posts in which we’ll continue to provide you with information about fire damage restoration, water damage restoration, furniture restoration, and other home restoration topics. As we noted in the third section, contacting a restoration company as soon as you’ve experienced fire damage will maximize your chances of returning your home to its former state. Midwest Restoration Services is Batavia’s Top Rated Local® restoration company, and we can help you protect and restore your belongings after a disaster. Call or use our convenient online contact form to request a free estimate.